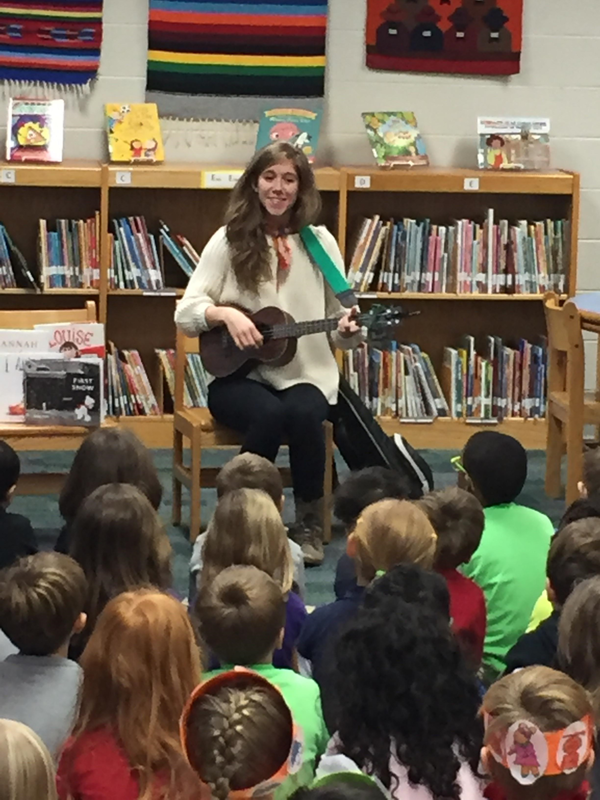 Last week, I performed a Storytime Singalong at Glendale Elementary Spanish Immersion School right here in Nashville. What a treat to sing and read with the Pre-K and Kindergarten students in the school library led by Rebecca Hornsby. Thank you for such a special morning celebrating books & music! I interviewed my pal Peter Brown for "Musing" - Parnassus' Lit Journal! A special performance at local Nashville elementary's Read-A-Thon event! Last week, I helped Percy Priest Elementary rally for their Read-A-Thon Celebration with grades K-5! Everyone was in costume as their favorite picture book characters with their fab elementary librarian Emmie Stuart at the helm as the one and only Paddington Bear. A totally inspiring reminder of how important it is to support our young readers! New CLAYMATES Song launches this week! The author and illustrator are my pals so this was extra fun. Plus they're hosting a giveaway this week! Visit Dev's twitter to enter. I recently received a message from a conscious consumer momma named Tracy: "Currently, I order your CD on Amazon and I enjoy the free, fast shipping. BUT if there is a different place I could/should be ordering them from so that YOU get a bigger kick-back, I'm all ears. Educate me (and all of your fans)." 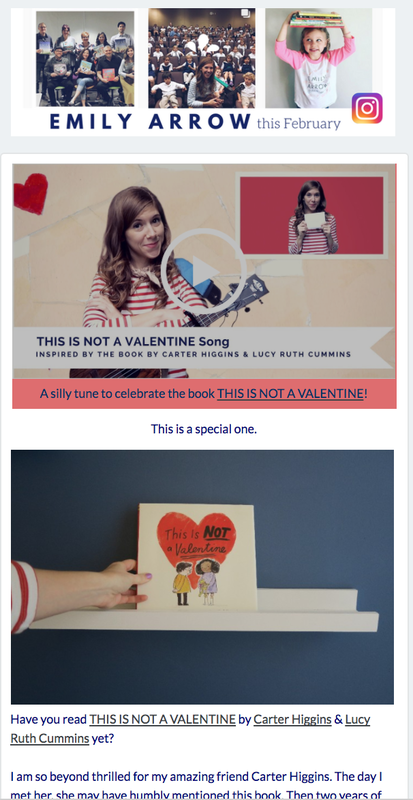 Independent bookstores go the extra mile to support content creators, myself included. They host events, offer online support and promotion, and charge rates that keep the industry alive and well. If the prices of books plummeted, imagine what might happen to the QUALITY of books being created... We can best support writers, illustrators, and musicians by shopping small. Supporting local bookstores supports your local economy, which gives back to your schools, businesses, parks, libraries, and neighborhoods. In my dream world, bookstores (and libraries) are centers of communities because bookstores are spaces where we feel understood, safe, heard, and educated. Plus, indie bookstores are run by some of the strongest women and men I've ever met. PS- I also have a dream of being one of those strong bookselling women someday. Make new friends. Eat snacks. Cuddle a shop pet. Hear some music. Meet cool authors. Smell new books. Learn something new. Hang out with your kids. Buy a gift. You do all of that and MORE during a single visit to a bookstore. But also, have you heard about the power of the page turn? Experiencing physical books vs. digital books is better for focus, comprehension, retention, and even improves memory and sleep. More on this topic to come. Okay. So how can you shop indie? To help support me as an indie musician, you can shop my WEBSITE where you can now pre-order "Storytime Singalong, Vol. 2" (launching April 7th!) and buy an Emily Arrow kazoo, kids t-shirts, sweatshirts, and tote bag and more! Q: My local indie bookstore doesn't or probably won't have what I'm looking for. What now? A: You have a few options. First option, ask them to order it. They have the same database as any one else and can look it up for ya. You might have to wait, but it's O-K. Waiting is old school. Old school is cool again. Second option, go to IndieBound.org to look up any book and find a way to shop indie. Q: My town doesn't have a local indie bookstore. What now? A: Again, check out IndieBound.org. Next, make Travel Book-ing a thing. Yes, I made this up. It's what I call hunting for books while traveling. When you travel, search out cool local indies. I never hit up a town without stopping in their local picture book store. Q: Can you recommend some awesome indie book stores? A: YES! A TON. And you can shop all of their websites online. They'll be thrilled to get an order from...wherever you live! Caption from the video: "Lil Cray was playing chords on his ukulele and said he'd heard them in this order before--and he started singing words from Emily Arrow's "Be A Friend Song!" Did he get the chords right? I don't know, but we made this video to ask." I received a note from Lil Cray's mom (Rita Crayon Huang) asking if these are the correct chords and this video totally melted my heart! After busy days of creating content, running around putting cd's in the mail and performing as much as humanly possible at bookstores and online, this is the reason. I just want kids to want to pick up an instrument and strum on their own. THANK YOU, LIL CRAY FOR SHARING!!! Notes like these make every day of creating content so special to me because I know I'm creating something that will hopefully resonate with kids, parents, and educators. Thank you for these messages and thank you to everyone who sings along and keeps me creating!